Gig Werks is an award winning SharePoint solution provider with certified expertise across all aspects of SharePoint. What SharePoint Resellers solution do you use? i3solutions, Inc. is an IT consulting firm that provides expert information technology services to both the government and commercial sectors. SYNERGY is a technology consulting company specialized in diverse business technology services like process automation and UX/UI. Layer2 is a provider of SharePoint, Office 365 and Azure apps in Europe with a major focus on data integration, collaborative knowledge management and social networking. BA Insight's software portfolio accelerates and future-proofs the creation of cloud-based and on-premise SharePoint portals for enterprises, transforming how users find information. Synesis International, Inc. is a full service business systems consulting firm. workMETHODS is a global software and IT consulting services company. Equiniti provides hosting, infrastructure and business process management to some of the UK's largest financial institutions and public sector organisations. Portal Solutions helps clients share what they know and find what they need by connecting people, data and content, and serve as a trusted partner working to ensure clients meet their business goals. Intellinet is a management consulting and technology services firm that transforms the businesses by providing strategic, technology-enabled business solutions. * We monitor all Gig Werks reviews to prevent fraudulent reviews and keep review quality high. We do not post reviews by company employees or direct competitors. Validated reviews require the user to submit a screenshot of the product containing their user ID, in order to verify a user is an actual user of the product. Hi there! 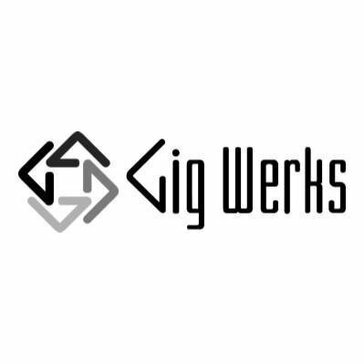 Are you looking to implement a solution like Gig Werks?